Christina is a digital marketing professional and writer. 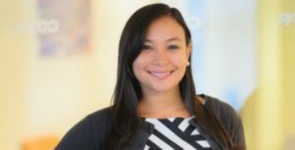 Christina frequently writes about manufacturing, supply chain and technology on The Thomas Blog. April is Earth Month, and to celebrate we wanted to shine a light on the importance of sustainability in manufacturing. 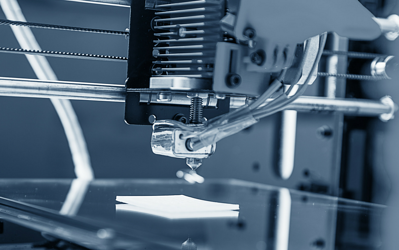 Fortunately, the manufacturing industry is embracing sustainability like never before. In fact, no other industry produces more "clean economy" jobs. Fueling the adoption is the fact that sustainability is not only good for the environment, it can be good for a business's bottom line. Procurement departments are becoming increasingly focused on finding environmentally friendly partners, and studies show that "green organizations" experience faster growth than their less eco-conscious counterparts. 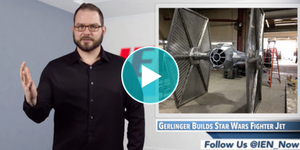 One of the coolest and most iconic vehicles from the Star Wars universe has come to life thanks Gerlinger Steel & Supply, a Northern California company. They just built a life-sized version of the TIE fighter, the symbol of the imperial fleet in the original trilogy. Looking to buy a new home but have a limited budget? The folks at the San Francisco-based startup Apis Cor might be able to help you. They just built an entire house within 24 hours using 3D printing. You can find the company's 400 square foot house in a small Russian town. The company used a mobile 3D printer to make the walls, partitions and buiding envelope for the house. Unfortunately, not everything could be done with the help of a 3D printer — the roofing materials, wiring and thermal insulation had to be done manually. While building a strong and risk-free supply chain is essential for buyers in all industries, when it comes to health care, the stakes couldn't be higher. Even the slightest hiccup can lead to a catastrophic loss of human life. That's why the United Nations World Food Programme and NEC Corporation joined together to help streamline and strengthen the supply chain. Doing the laundry may get a little bit easier thanks to inventor Gal Rozov. After six years of hard work, he created the FoldiMate, a robot that can fold, soften and even infuse fragrance into your newly washed clothes. Electric cars are more popular than ever and now, with the help from the motorcycle maker Polaris, electric motorcycles will be hitting the road, too. 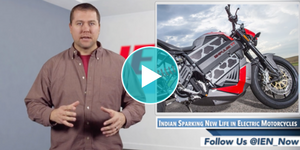 Polaris recently announced the revitalization of their legendary Indian brand with an electric bike set for production in 2020. From Tesla to Google, organizations have been working hard to make self-driving cars a reality on major roads and highways. Now with the help from the company Roborace, these autonomous cars are heading to the race track with the world's first driverless race car.